13" Tall. 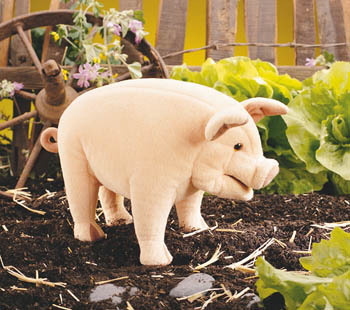 With its smiling face and curlicue tail, this pig is a real babe! While its ot belly rests on your arm, manipulate the mouth to help it sing along to all your favorite barnyard tunes.